In an ever accelerating industry and an ever expanding volume of clothes, finding quality, durability and ethically-produced fashion is no mean feat. 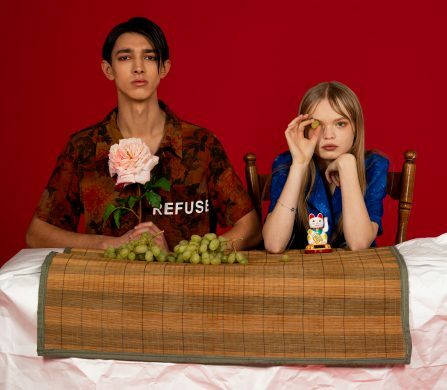 One brand countering the wave of industrialised, impersonal fashion is ÁINE, the Jakarta-based womenswear house that brings the personal back to the heart of design. 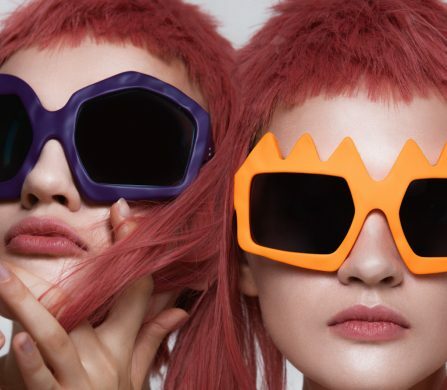 Combining sleek elegance with atemporal shapes, ÁINE aims to position the buyer as an participator in an ethical process: respect stems from the very inception of the collection. 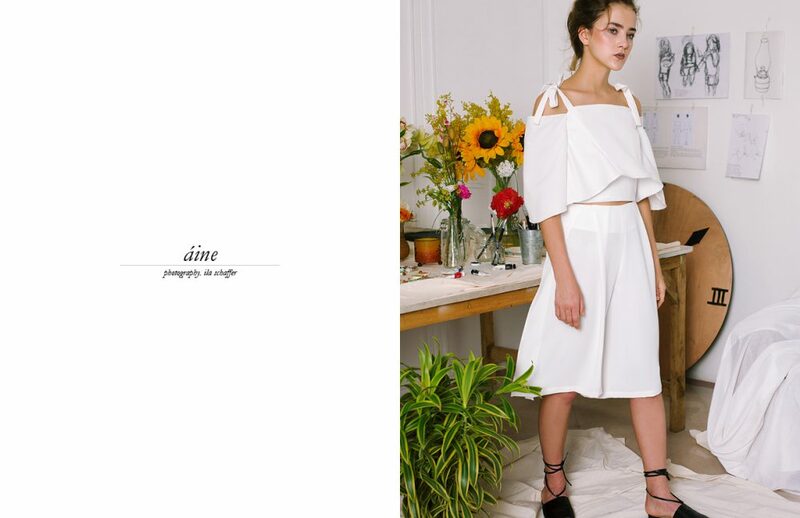 Stocked on ASOS Marketplace internationally and on Zalora for the Asian markets, ÁINE is beautifully understated in its aesthetic, as well as being ambitious in its quality and durability. Schön! sits down with Femilia Putri, creative director at the brand, to discuss the ramifications of trust in fashion. Tell us a bit about ÁINE. How did the concept come to be? Our vision is simply that of designing an affordable clothing range that involves thorough research in the production of our collections. I dislike the fact that many people still perceive that inspiration behind clothing as pretentious, superficial, and sometimes too exclusive. I want to change that: I want to create a brand that is approachable yet could be a part of the innovative creative industry. Every single element is still considered, not only our clothing but we hope that we can communicate our values, so that we could have a meaningful impact. ÁINE is inspired by women who are smart, creative, and passionate. Most of the time, I start looking for the perfect campaign location first, then start building the story from there. Next, I start with research and spend time scanning for inspiration from films, pop culture, art history. Once the concept is decided, I proceed to the design process and start developing the pieces. What is the importance of collaborations in your label? At ÁINE, we want to include the creative people to our story. As we’re now living in the world where we only consider those who follow a conventional career path, as if these are the only ones who contribute to instigating change in the world. We hope people will believe more in the creative industry and show them that our voices matter too. We created an open-ended collaborative project in ÁINE, intended as an outlet for fueling excitement, celebrating arts. It’s a platform where we can embrace creativity. What specifically about arts and youth culture inspires ÁINE? Looking back to the past for our inspiration is central to our creative process. 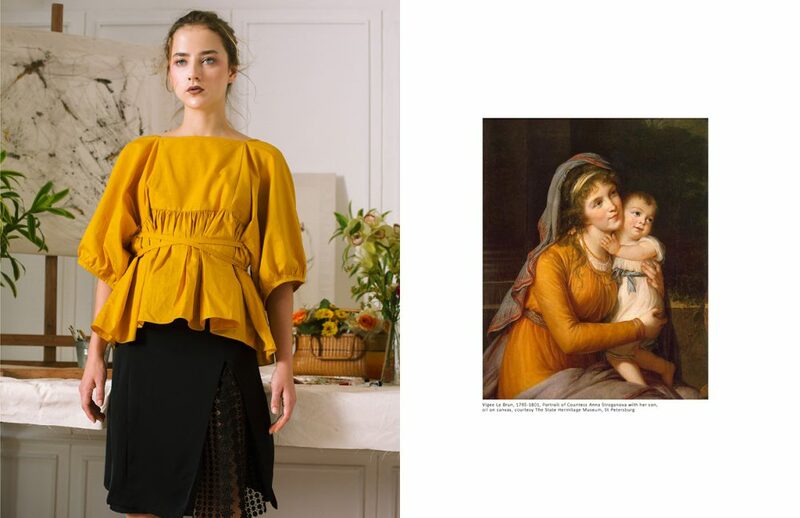 From 19th Century Romanticism, to Japanese Wabi-sabi aesthetic. We also derive inspiration from youth subcultures: it’s fascinating because of its unpredictable, experimental, and original nature. Most of the time, our inspiration juxtaposes soft grunge, feminist art movements, romanticism and the minimalism movements. What is the importance of ethical fashion, for you? While fast-fashion is now growing more than ever, we always reflect on the brand’s direction in terms of slow fashion, and we strive to design and make garments of quality and durability. People forget the fact that despite today’s cutting-edge technology, garments are still made almost entirely by hand. And so, we allow slower production schedules and fair wages to ensure the well-being of our worker. What role does honesty between brand and customers play in this? At ÁINE, we want not only to our workers, but also our customers to be treated fairly too. Our business is mainly focused online, and transparency is how we can build trust with our customers. By giving them a competitive price, we hope to give awareness to our customers about how they could be playing a larger role with their purchases. They’re resisting an overconsumption on unsustainable clothing. What does 2017 hold for ÁINE? So many things happened in the year of 2016 for us: we launched our first collection back in September 2016 and we are humbled and grateful for the positive response we’ve received so far. We would love to continue our collaboration with the new artists and designers, perhaps to be able to work closely together with them on a special project.